Canada’s big supermarkets drowning you in plastic? Join thousands demanding change! Did you happen to catch CBC Marketplace’s recent episode on excessive plastic packaging at Canada’s major retailers? Or the piece on The National? If you want to feel validated for the pointless plastic packaging rage you feel at your weekly grocery shop, a watch is very cathartic. To coincide with the release of the program we launched a petition targeting Canada’s biggest retailers and the response has been overwhelming. 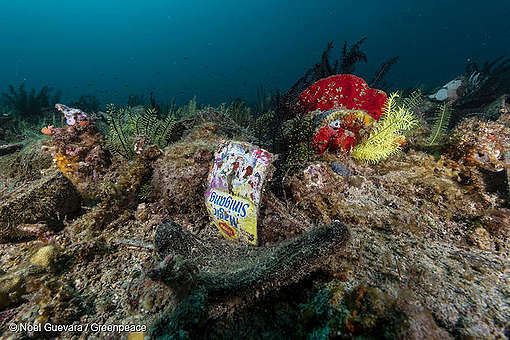 People want action at supermarkets and stat, and we’re with you, those massive plastic pushers are long overdue for a sea change in their aisles. 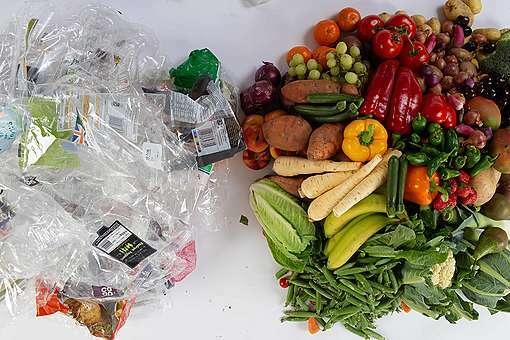 Marketplace’s “Plastic Waste: The Supermarket Challenge” episode really shone a light on how hard, or impossible, it is to shop at the major supermarkets for weekly groceries and necessities and avoid plastic. At Loblaw, Sobeys, Metro, Walmart, Costco, many other chains and even Whole Foods Markets, even if you’re doing your best to avoid it where possible, so many products are wrapped in plastic customers are left with often more plastic than food in their shopping cart. Until now, some retailers have put plastic bag charges in place, some have said they seek to reduce waste in their stores and Loblaw even committed to remove microbeads from its products. 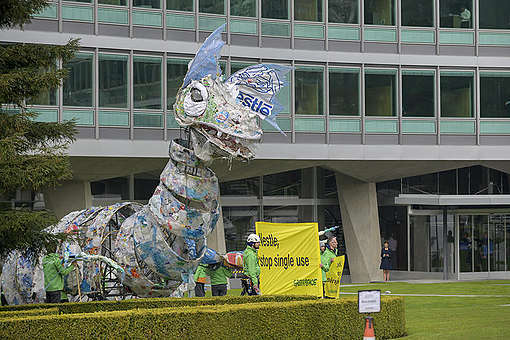 But what we haven’t heard from any of the big-name stores is a commitment to reducing their overall reliance on, and distribution of, single-use plastic packaging and items. We need to urge them to change that by showing that we want plastic-free aisles, we want alternatives and we want them to work with the major single-use plastic product pushing companies like Nestle, Unilever, PepsiCo., Coca-Cola, Procter & Gamble and many more to create new product delivery alternatives. First, if you haven’t already signed our petition you can do so now by clicking here. Don’t forget to share it online so we can keep growing the number of signatures to our goal of 100 thousand! Second, if you’ve signed the petition and are feeling inspired to do more to pressure your local supermarket to ditch single-use plastics, download the supermarket section of our toolkit at greenpeace.ca/plastics. Third, model the behaviour we want supermarkets to support and promote. Where ever possible, bring and use your own bags, containers and jars for your produce, bulk items, bread and anything else the store will give you unpackaged. The more retailers see customers rejecting plastic, the more they will feel the pressure to make a change. Fourth, if you’re feeling like taking a stand, the next time you visit your grocery store, you could take these two actions to show the store’s leadership that you don’t want the plastic packaging. After you buy your groceries, you could unpackage your groceries and take the plastic to the customer service area and explain why you are leaving it behind. Lots of people across the country and around the world have started doing this and it’s a great way to show you literally want your products to come unwrapped. You could also ask to talk to the store manager and explain that you’d love to see them ditch plastics and join a plastic-free future! Lastly, spread the word and share images! Take pictures of ridiculous packaging when you’re at your supermarkets and post online tagging the company and using the hashtag #Ridiculouspackaging and #BreakFreeFromPlastic.